When was the last time you had your carpets professionally cleaned? It is recommended that you have your carpets cleaned at least once annually. 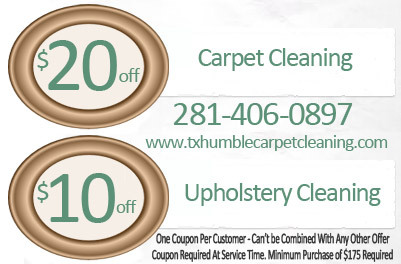 At Humble Carpet Cleaners, we use only organic and biodegradable cleaning solutions to clean your carpets. All of your carpet cleaning needs can be resolved through our company. The reason for our success is in how we make our customers feel. When they call upon us for our assistance, we deliver quality service and provide the best customer service experience around. Making the investment to have your carpets cleaned not only rejuvenates your entire home, but also increases the longevity of your carpets. With the constant in and out of traffic in your home, your carpets can experience a lot of wear and tear. Dirt can sometimes act like small knives cutting into your carpets fiber, causing them to age prematurely. We do an onsite evaluation of your carpet and we target problem zones before we utilize a powerful steam cleaning method of cleaning. Our main objective is to make sure that you are fully satisfied with our services.